being little • bristol uk fashion & lifestyle blog. : shallots of shallots. Today has almost been a total write-off. I wrote a list of things I needed to do (which was ONE thing, apparently) did it, and then lay in bed watching Paper Heart. When it came to 6 o clock I decided I should probably do something, and I also decided I was hungry. Duck legs in the fridge, shallots in the cupboard. So I caramelised the shallots and they were superb with the duck, a very good combination! 1. 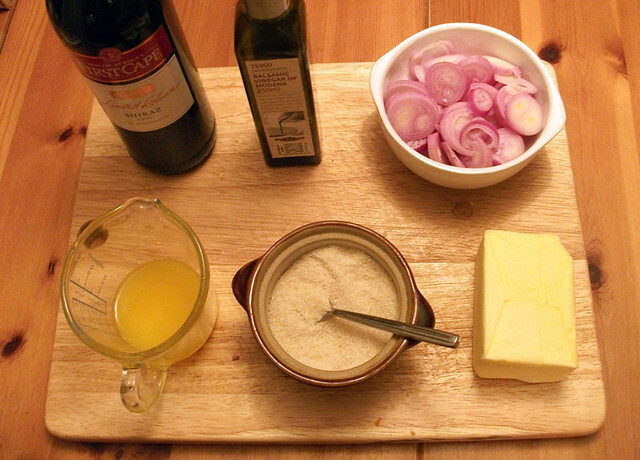 Heat the dessert spoon of butter in a frying pan, and add your sliced shallots. Stir them about until they start to soften and brown. Leave them to caramelise slightly for 5mins. 2. Add the sugar and let it dissolve, then add the orange juice, red wine and balsamic vinegar. Cover the pan and let it simmer for 20mins. 3. Take the lid off and reduce the liquid. 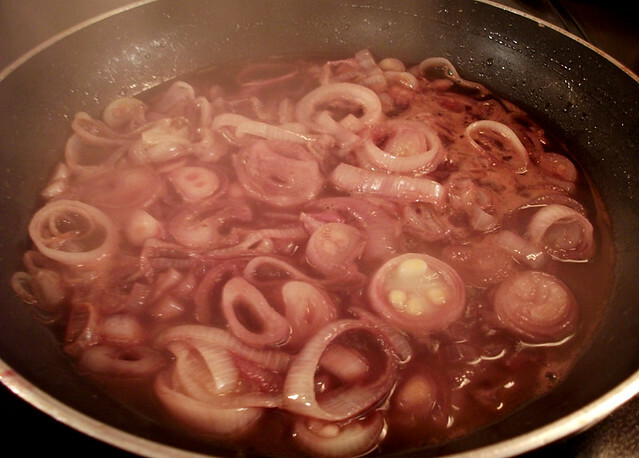 You should be left with gooey, shiny, beautifully deep purple shallots, mmm! This would also be super yummy with a nice beef or venison steak! Or stirred into a salad. Yum yum yum. OK they look LUSH, that would a good steak, and a side salad omg tha would be amazing. Good pictures as well :). You need to do more food blogging your good at it! Yummmmm....oh no im hungry now! mmmm that sounds so good! I loveee that film! Perfect for a daytime lay in bed film! oh my now you are making me feel hungry..
Oh Lyzi, you do need to cook for me someday. This sounds bloody gorgeous. More posts like this!